It is accepted that the Ashridge Interchange would force much extra traffic onto the A321 into Wokingham unless an alternative were provided. 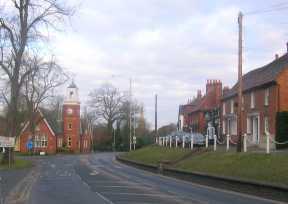 This road is inadequate to take additional flows, and so it is suggested that a link road should be built from the Woosehill Roundabout on Reading Road through the industrial estate, under the railway embankment, across the site of Emmbrook School, across the Emm Brook on dual bridges (to form a gyratory in order to calm traffic), then across Matthewsgreen towards the A321 near the crossing over the A329(M). The map below shows the suggested route, which largely avoids existing housing, and would be more direct than the residential roads that thread through Emmbrook. 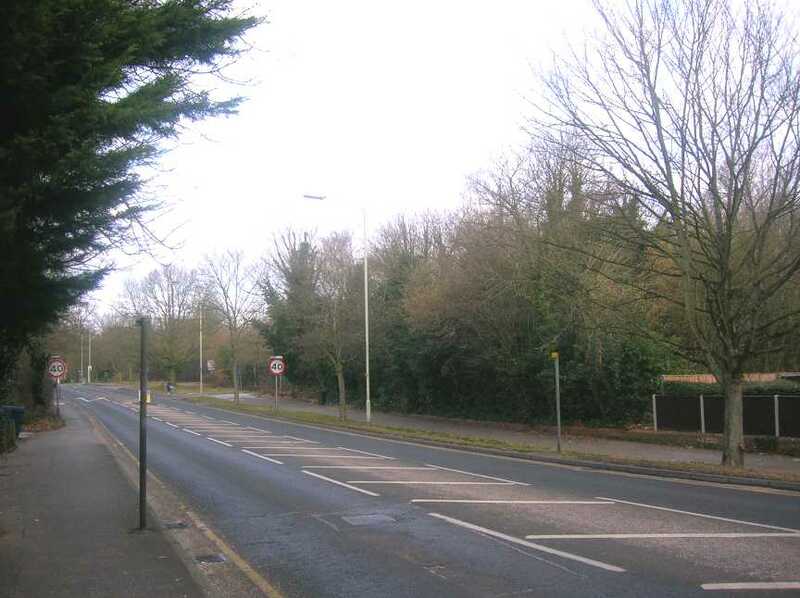 Bearing in mind that the A329(M) north of Winnersh was downgraded to form the A3290 in order to accommodate a bus-lane at its far end in Reading, this is a good precedent to urge the authorities to remove motorway status south of a new Ashridge Interchange. At a stroke, it would have 50% more capacity because the hard shoulder would form a third lane. The original downgrade north of Winnersh took place to benefit just 600 motorists a day who use the park-and-ride at Winnersh - and even this was under threat in 2011. 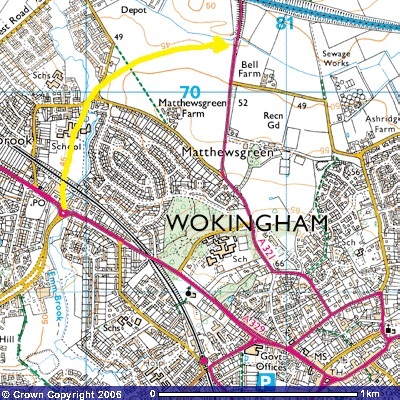 How much better to use the southern part of the A329(M) to form a true bypass for the north of Wokingham, avoiding the need to provide an inadequate Northern Distributor Road . The A329 Reading Road looking north from the Woosehill Roundabout, showing the Emm Brook bridge parapet to the right. The industrial estate alongside the Reading Road, north of the Woosehill Roundabout. This industrial property behind the car showroom is currently standing empty, and in January 2012 was advertised for sale. Behind it, just hidden from view, is the railway embankment. The railway embankment further north along the industrial estate, showing the possible headroom from ground level. A shallow underpass in the embankment would allow sufficient height for all road traffic. The new Cow Lane bridge completed in Reading in January 2012 shows that it's well within engineering capability to build a bridge in this particular embankment. For comparison, this view from Mill Close, south of the Emm Brook, shows the height of the railway embankment as it crosses the brook. This narrow bridge in Emmbrook Road manages a 13-ft headroom, despite the height of the road on either side of the bridge. The proposed underpass further south in the industrial estate would allow more headroom than this. The railway embankment, as viewed from the playing field at The Emmbrook School, with a train just visible behind the trees. Note the height of the rugby posts close to the embankment. The Emmbrook road bridge, looking southwards from The Emmbrook School, showing the separate footpaths either side of the road. 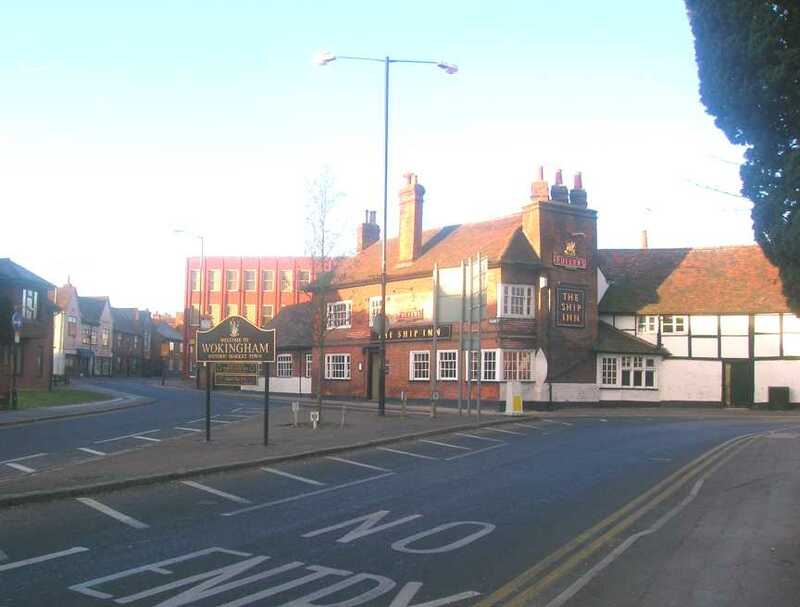 It is proposed to provide a new road bridge to the left of this structure, to form a gyratory system similar in scale to that at Arborfield Cross. Another view of the Emmbrook road bridge. The A329(M) at Ashridge is about half a mile to the north-east of this point. 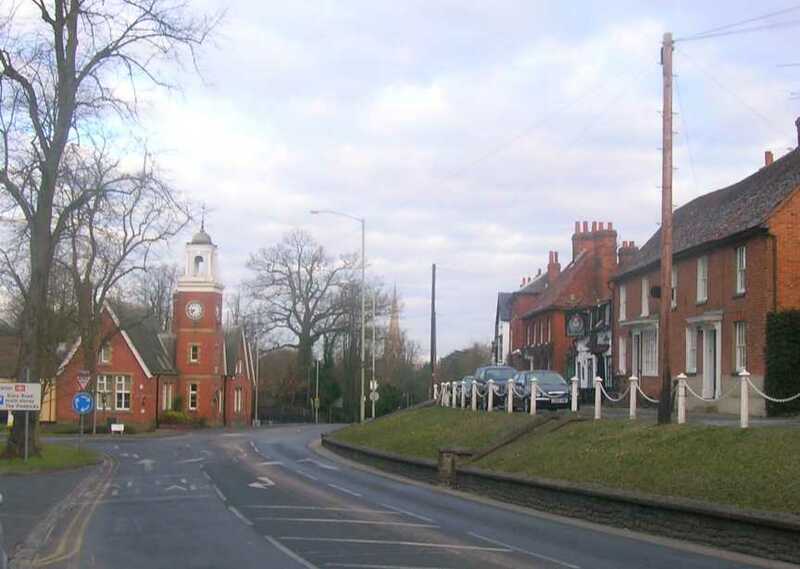 For comparison, the five-way junction at Arborfield Cross consists of a large oval-shaped roundabout similar to the proposed layout over the Emm Brook. Traffic flows smoothly and at appropriate speeds. The roundabout itself is well landscaped; it is suggested that the Emm Brook between the proposed twin bridges would be similarly treated. Wokingham always scores very highly on comparative surveys of lifestyles and quality of life, but road congestion is constantly mentioned as the major issue. Despite this drawback, the area is being asked to take yet more houses which would lead to even heavier traffic. We believe we have a strong case to demand a moratorium on further house building until an adequate road infrastructure is in place. 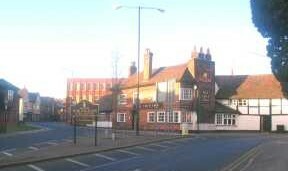 The proposed 'Emmbrook Way' would form the northern part of a western bypass of Wokingham town centre, linking the Reading Road with the A329(M) at Ashridge. The proposed 'Station Bridge Link' would form the southern part, removing a major cause of road congestion at the station level crossing. 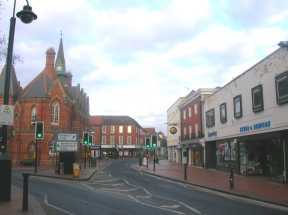 With these two links in place, through traffic can avoid the town centre completely.